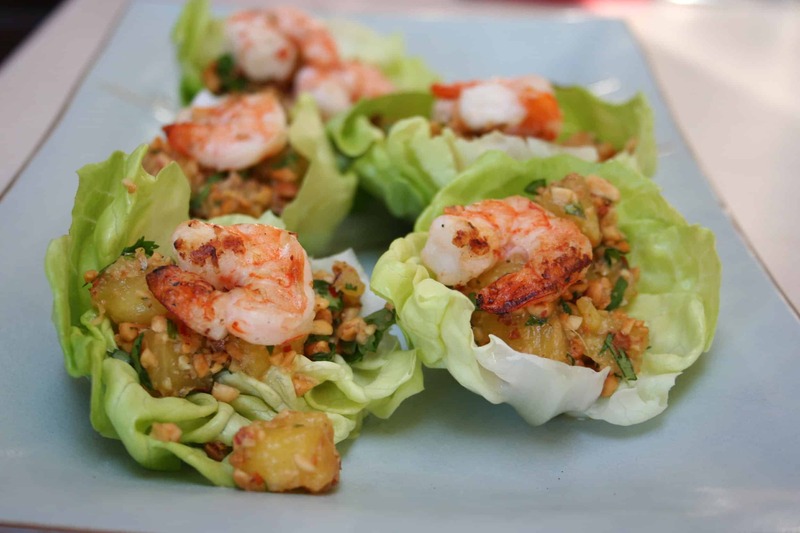 I saw Spicy Thai-Style Pineapple Wraps demonstrated on Emeril Live, highlighting a cookbook by Food Network Kitchens, Get Grilling. 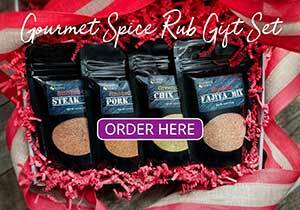 This recipe looks perfect for summer grilling and the spice easy to adjust based on preference. Although it was presented as an appetizer for a grilling menu, I plan to serve it tonight as a main course by adding grilled shrimp, creating 3-4 servings. I hope you join me in this delicious adventure! When ready to serve, arrange the lettuce leaves on a large platter. Put about 1/4 cup of pineapple in each leaf and season with salt to taste. Top the pineapple with the nut mixture. 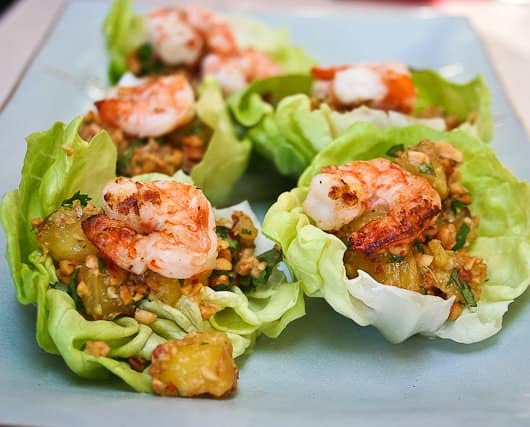 Serve, letting your guests wrap (or fold) each lettuce leaf to enclose the filling. I also added shrimp marinated in lime, cilantro, garlic, salt and pepper. It was light and refreshing but did seem to lack “something”. If I made again I would use less cilantro and add arugula with the pineapple and add crispy rice noodles. We liked these a lot, but honestly, it left me feeling there was something missing…green onion, maybe. Also, it wasn’t really that spicy (of course, that is different for everyone). As you can see in the photo, I added grilled shrimp, which I had given a squirt of lime and it was a light, refreshing meal. 1. I didn’t keep the pineapple separate as the directions indicate, I tossed it all together so the flavors could meld while cooking the shrimp. 2. Served it with sriracha sauce on the side. Can’t wait to try these, especially with some grilled shrimp!